As for today’s topic, I wanted to say about the “fastest web browsers list for PC and Android” In this modernized world, I bet most of you access the internet every day. Generally speaking, with over million and trillions of users access the internet daily according to several surveys. Here some people will access through their PC, and some people through their workspace laptops and some prefer their portable Android devices like tabs and smartphones to access the internet. As we are heading towards the modern technology day by day, our way of accessing the internet has been easier with advanced implementations and regularly updated web browsers. First, let me go back to and say what a web browser is, I know this was a silly question because most of you already know about it. But if you don’t know then here it is. A Web Browser is a software application which is programmed to help you to access the internet. 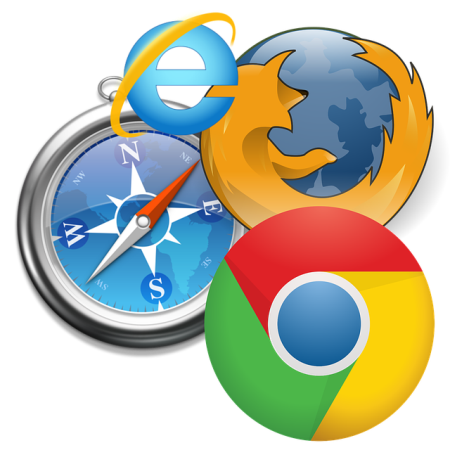 As this is a tech era, There were are several different browsers to choose from, for suppose if a computer is using windows then you will be probably familiar with Internet Explorer. 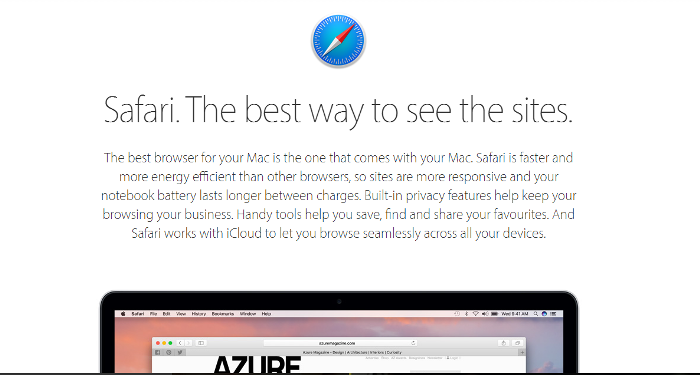 If you use a Mac OS, then you’ll probably know about the Safari web browser. There are lot more other web browsers today, now most of the people don’t know “what was the best and fastest web browsers for their devices”. Some people feel uncomfortable with their web browser speed and will always find few issues in accessing some sites fasters. And also sometimes people find hard to resolve the integration with the browsers. So, to get rid of all these distracting queries, Here I gonna say about the free and fastest web browsers list for both PC and Android. As per your convenience, I have divided the list into two sections one is Web Browser for Android, and another one is Web Browser for PC. Let’s start with free and fastest web browsers for PC. We’ll be starting with the google chrome browsers because frankly, speaking this was just amazing web browsers for PC which make you feel comfortable in almost browsing anything. And I can even say that Google Chrome has been a people’s favorite web browser for PC. Google Chrome has lots of simple and manageable tips to access the internet faster than other browsers. Google Chrome has the capability to bear a lot of tabs without causing any hanging problems. Some, People mostly argue that Mozilla Firefox is better than Google Chrome but to say the fact it isn’t because Mozilla can’t bear more tabs and it will be crashed most of the times. And also you should always update your flash player to watch videos services. Whereas Google doesn’t need that. It is one of the best Web browsers for PC. Mozilla Firefox is also popular in the list of popular web browser for PC. Mozilla Firefox is one of the web browsers for PC which was widely used by lots of people. It’s a having some best features than other web browsers. 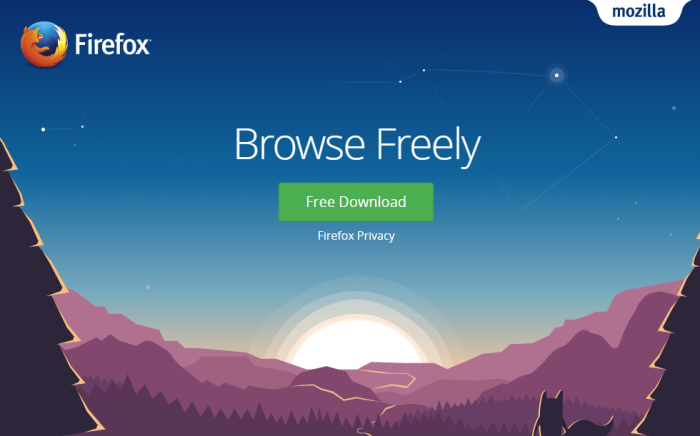 As far as competition Mozilla has been a strong competitor to the Google Chrome with its advanced coding enhancements. Although Mozilla has few drawbacks from google chrome, it also has few better points then google chrome while accessing few sites. Mozilla has such an amazing team which keeps on updating their browsers to stand out in the competition. The add-ons are the best plus point for Firefox users. Opera is having many complaints regarding its compatibility issues with some websites, but still, it has stood out in the heavy competition of web browsers companies. 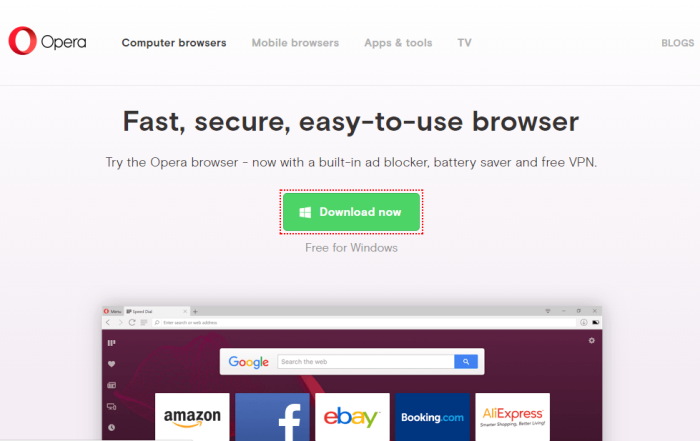 Opera offers some impressive features which make you access websites faster than ever. And it also has a convenient UX design where you can easily navigate to any of its settings. Some category of people tends to use opera other than Google and Mozilla because of its sustainability and some impressive features. Internet Explorer has been great web browsers for PC since the past times. If you are a Windows PC users, then you’ll know about the internet explorer. Its latest version internet explorer 11 has been better and faster than its previous versions. If you are still using Windows means it is still the best option to browse the internet. Earlier internet explorer has faced some major issues and pitfalls. During all these days it has improved its potential and made various changes to its coding and designed multi-tab interface browsers. The torch has been a fantastic web browser for PC for most of the torrent users. As it has the capability to download torrent files without using any external software. The torch is a multifunctional web browser for PC. If you are sick of downloading some extensions and other downloading options, then you’ll find torch as an answer for your frustrating puzzles. Because it has several inbuilt tools to make your work easy. The torch is almost similar to google chrome with slight extra features than Chrome. I don’t have to say about the Safari web browser if you are a user of Mac OS because it is one of the top browsers in the web browsers list. The Apple company develops it, and that is the company which brought amazing products like Mac os and iOS, etc. You can access this web browser on both mac and windows as well. Some of its browsers versions work on the Windows platforms as well. Maxthon is used by thousands of internet users around the globe. It has a unique reputation among the web browsing companies and also in the crowd. Because it offers plenty of impressive features, you can access the internet faster and better with some attractive features of Maxthon. It is an advanced web browser for PC. You’ll not know about the sea monkey, but whoever used this web browser will say a few words about the sea monkey browsers. It has some rich browsing features which are suitable for some audience. It is having web browsing facilities and offers the email and chat features for free. Avant might be a good match for you in the list of PC web browsers if you are looking for decent web browsing speed and some useful internet surfing features. But this browser has few minus as well. It may not support few modern applications. It’s a perfect alternative for internet explorer. 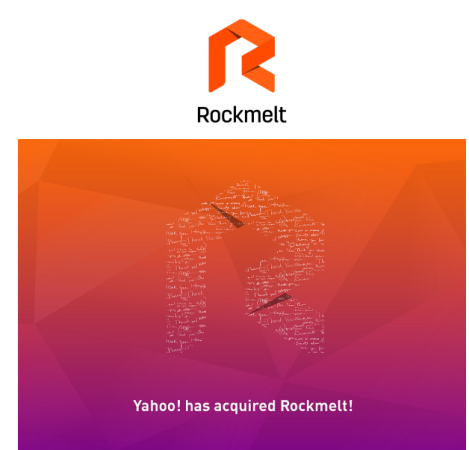 Rock melt is a web browser for PC which is developed to help people discover the best content from around the web. Rock melt has been a fastest growing company It has just been in this industry for four and half years itself. Yahoo has acquired this browser and developing it compete with other web browsers. When it comes to the web browsers for Android devices, Opera Mini is one the finest browser ever for Android. It has some best and attractive browsing features. And also its user interface is pretty easy to access almost all settings in homepage itself. Opera mini is very light in weight, and it’s faster than all the web browsers for Android devices. You can see its popularity in its number of downloads and in its rating itself. I don’t think many of you might surprise with UC browser position in this list for web browsers for Android. UC Browser is one of the best web browsers for Android devices. It has a good-looking design, and the best thing in UC browser is its downloading feature is simply amazing. It is the browser which can download faster than other browsers. Google Chrome is a fantastic web browser for Android as well as for PC, but it is lagging in android devices because it has some minus apart from the other browsers. So, it has been in the third position. Google Chrome almost has similar features for the desktop browser but it in Android devices it may crash suddenly it depends on the Android devices, but mostly I found that in lots of reviews as well. Other than this everything is fine with the google chrome. It might be surprising to you because Maxthon is not that attractive web browser in PC. But coming to web browser for Android devices, it is having lots of users who support Maxthon. People support the Maxthon because of its smart and safe browsing features. You can even change your theme quickly and use RSS reader. Firefox is a good web browser for Android but not that great as above Android web browsers. It is having some minor glitches so it dropped its reputations. Apart from those glitches rest all works well in Firefox. It has been improving its status day by day and soon it may work better than other browsers as well. It is having all the features same as the desktop version. Dolphin is a better choice if you want to work and communicate at the same time because it has some unique features that make it capable of handling and storing searched data when you are using your device, and it also has a nice user interface and apart from these, it’s fast and simple to use. CM browser is one of the safest and secure browsers you’ll find for Android devices. It is having some best features regarding privacy and other factors. It is a lightweight browser but its very fast in accessing the net. If you are the person who strives to keep your browsing secured then the best option for you is CM browser. It’s a good web browser for Android which has an adware, and malicious extensions spoilers were then protected your device from malicious threats. It is having an impressive speed and it’s easy to use interface gives you some great browsing experience. Adblock browser is one of the most used web browsers for Android to block ads. Some people don’t like ads so; they just install the ad blocker, but in this spare time adblocker has its browser which has attracted most of its desktop Adblock users to its mobile browser. It is having a clean design to access. One browser is one of the Android browsers which is having its own crazy in western countries. This browser speed is simply astonishing than other browsers, and its download speed is up to 47% which is even better than most of the web browsers in Android. But this has few minor drawbacks, and those drawbacks have to drag them to stay away from competition. These are the free and fastest web browsers for PC and Web browser for Android devices. I hope you have improved your accessibility by using this list. If you have any queries, do let us know in the comments. Does Amazon Accept PayPal Credit? Chrome is ok. Sometimes doesn’t allow you to work properly. Mozilla is nice. No idea about others. But got to know a lot about other web browsers as well. Thanks for the information. Good work Mr. Arpit.